All of you are certainly showing me up. You’ve already started sending me your reports for The 350 Blocks Project, and I’m ashamed to admit that I only added 7 to my total this month. Really?! At some point, all the sewing I’m doing has to yield something, doesn’t it? Then again, maybe not, when all the sewing I’m doing is for someone else! Here’s one of the 7 blocks I made. 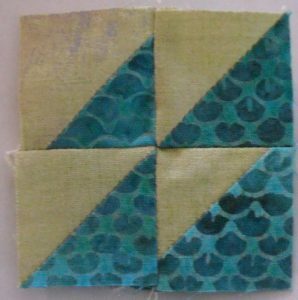 This was an exchange block for guild. It’s not really flawed, as it appears — that streak across the corner is a reflection off my iron. I’m such a stellar photographer! And of course, one of them I can’t show you yet, and 3 of them are for the quilt I’ll be showing you tomorrow. So send in your reports for June, and let me know your updated totals. The new July numbers are posted on the 350 Blocks Project page so you can see what you have to achieve next month. Some of you have already done it, so I guess you can rest on your laurels while the rest of us try to catch up! For meeting the goal of 137, Rose Marie. For simply playing along, it’s Cassandra! Congratulations, and thanks for playing along. I’ll get your prizes right out to you. Now, I need to go get sewing, obviously. Stay tuned for more news this week, and happy stitching! Your blocks are great! Once again, a month has gone by with no blocks to report 🙁 Surely I will have something to report for July!!! A girl can dream, right? Fifty-seven blocks for me. Woo-hoo! My best month yet. Not being at school full time probably has something to do with that. I haven’t put up a post, but wanted to report. Thanks again for sponsoring and encouraging us. Total= 207. My June Totals. Only 23 this month, for a total of 210. Still on track, though! Thanks for this project. Oh, it will be remarkable if I finish any UFOs this year! Sigh. 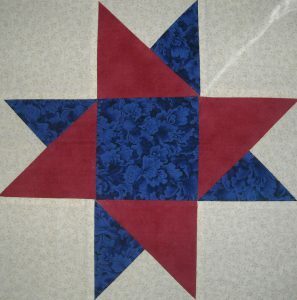 A day late, but better late then never… I did 41 blocks this month, with a grand total of 479 so far this year…Next month should be much more due to that I am taken Pat Sloan’s July 2013 Challenge to sew every day in July. I’ve lost my way.. I know I added 31 blocks at the least, so let’s call my total for the year 475! My June total is another 0. 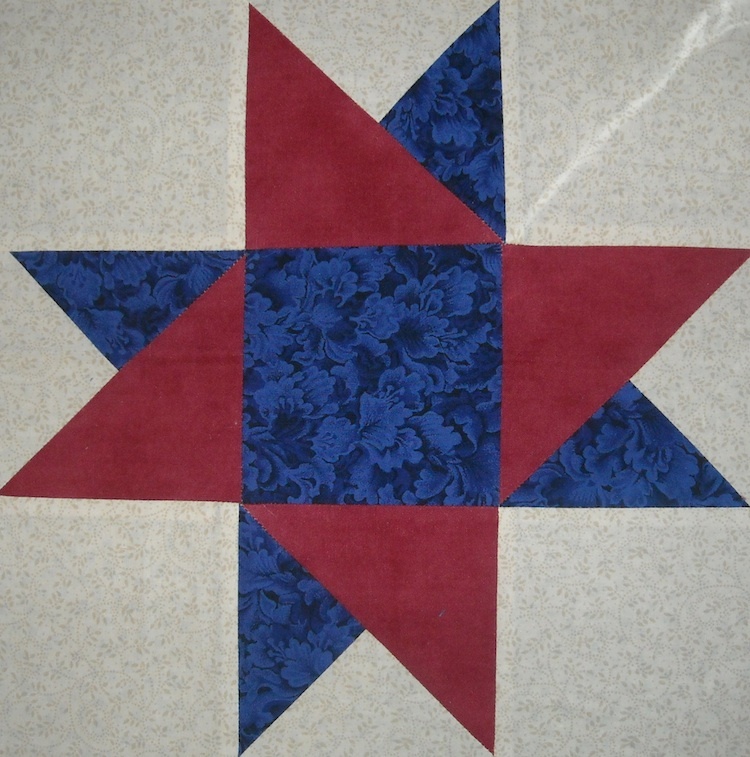 My quilting has been dismal this year. I keep saying I’ll drag my machine and supplies upstairs but never do. 🙁 I have two tops I need to finish assembling, which would be great but won’t contribute to this total because the blocks themselves are done. I should get to it! Well, if I met a goal last month, I will certainly not excel this month. 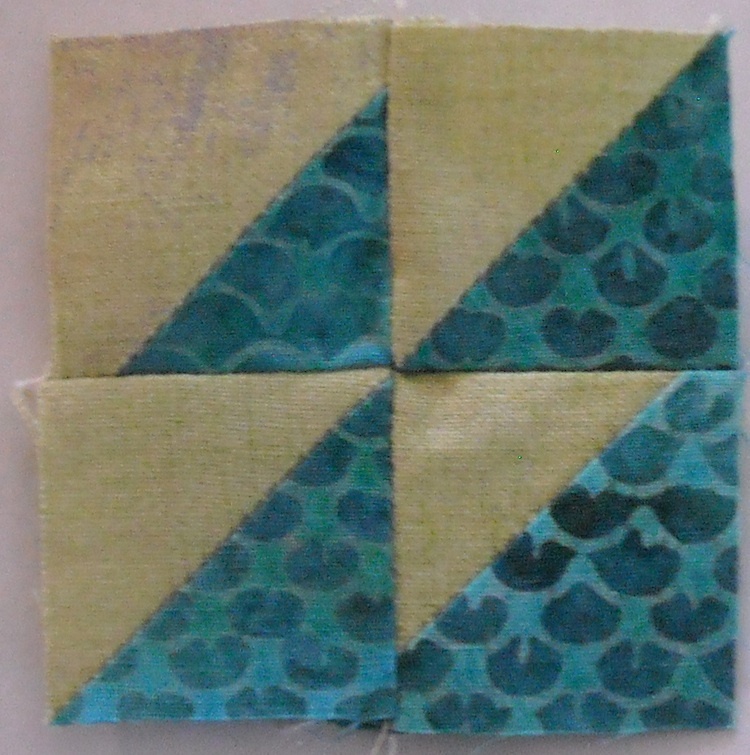 I only made a total of 13 pieced blocks and one embroidered block. I forgot whether embroidery counts.